Spring has sprung and we’re seeing lovely pink and purple tulips and sunny yellow daffodils in bloom at our favorite gardens. This time of year is also perfect for delicious baked yumminess. 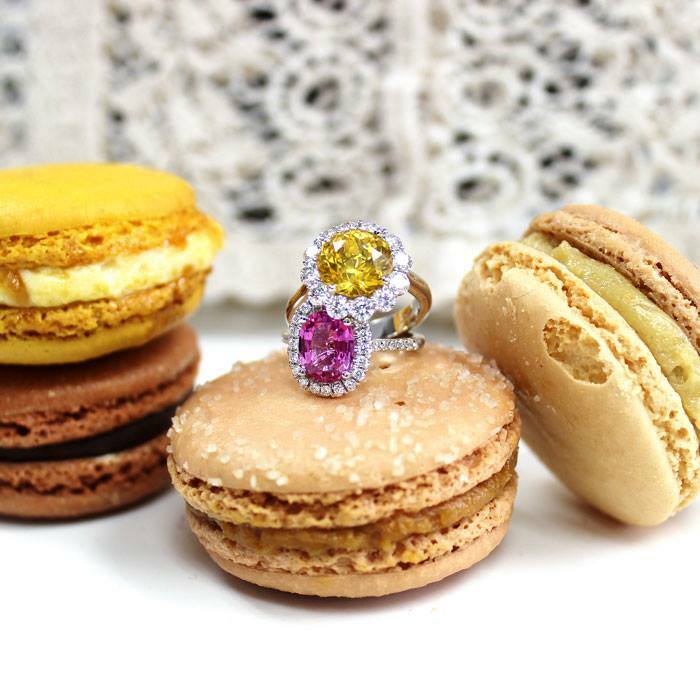 If you’re putting together a basket to give to your sweetie this weekend, consider filling it with melt-in-your-mouth French macaroons and a divine, vibrant pink or yellow sapphire and diamond halo ring from the Coast Diamond Signature Color Collection. The first featured engagement ring is a dazzling 2-carat pink sapphire surrounded by a halo of brilliant diamonds. Doesn’t it remind you of the bright easter egg colors that a certain bunny would hide in the park or your yard? Our other featured Coast Diamond engagement ring is a spectacular 5.71 carat round yellow sapphire set in platinum with a halo of diamonds surrounding the center stone. We think it represents a cheerful, sunny morning and is a wonderful and romantic way to show you’re committed to a lifetime together with the one you love. Visit your Coast Diamond authorized dealer to find these and other spectacular engagement rings, wedding bands and fashion rings. As remarkable as these rings look in the pictures, you really must see them in person and try them on to get a feel for their magnificence. 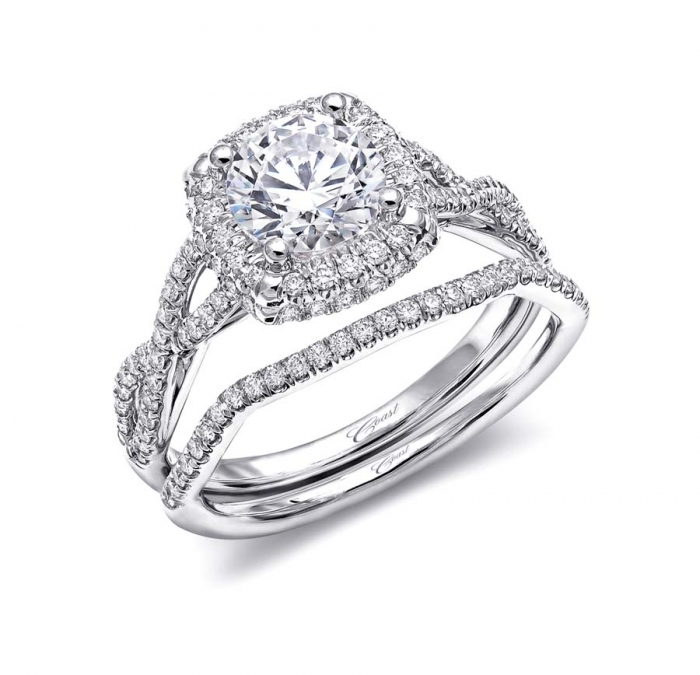 The first thing you’ll notice when visiting Simmons Fine Jewelry store and website is that people come first. This family-owned business, known as “Boise’s Wedding Ring Store,” appreciates their customers and staff and makes everyone feel part of the Simmons’ family. Jay and Stacey Simmons are proud of this team that includes experienced fine jewelry and diamond associates, a GIA Graduate Gemologist, friendly management staff and JA Certified Bench Jeweler Gilbert Moreno, who has the distinct honor of becoming the first in Idaho to become a Jewelers of America Certified Bench Jeweler. We are thrilled to announce that Simmons Fine Jewelry in Meridian, Idaho is our Coast Diamond Featured Retailer of the week. This unique Coast Diamond double halo engagement ring setting, shown with a 1.25 carat center diamond, is a perfect choice for the Idaho bride-to-be looking for some serious bling. (Style LC10130.) 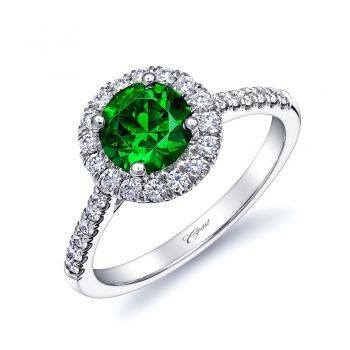 At Simmons, you’ll hand-select a diamond with help from a diamond expert, and your one-of-a-kind stone will be set in this ring that features a split shank of prong-set diamonds that lead up to the dazzling double halo. 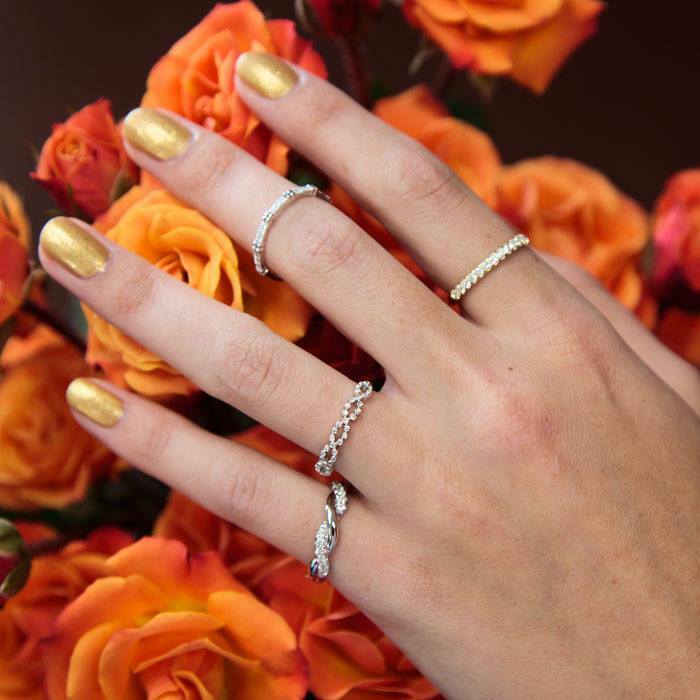 Be sure to follow Simmons Fine Jewelry on Facebook to stay up-to-date on the newest Coast Diamond ring styles, store events and special promotions. 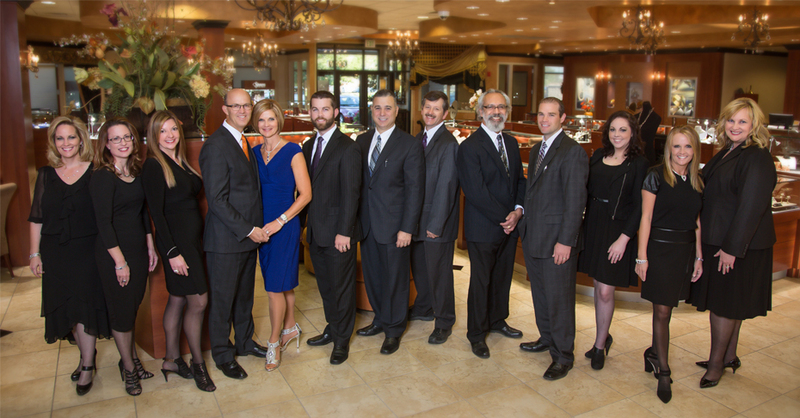 Congratulations to Simmons Fine Jewelry on being named our Coast Diamond Featured Retailer!